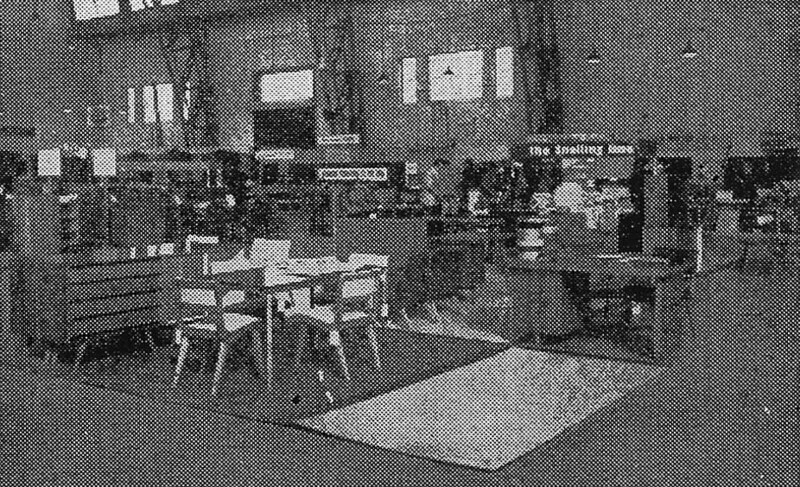 Display of 'the Snelling line' furniture at the Functional Products factory, 1954. Photocopied photo, Palmerston archive. Douglas Snelling's eldest son, Christopher, will co-lead a public tour of post World War II Australian modern furniture during Sydney Design 2013 in August. As manager of the Powerhouse Discovery Centre at Castle Hill, Christopher will show some of his father's key 'Snelling line' furniture pieces held in the museum's collection, and will share some of his own family anecdotes and memorabilia. Products Pty Ltd, producing and wholesaling his designs at a factory built in St Peters in 1947. Powerhouse curator Paul Donnelly will co-host the tour, discussing other locally made designer chairs, in styles that exemplify Australian culture from the 1940s to the early 1960s. The tour will be held 2-3pm on Thursday 15 August at the Powerhouse Discovery Centre Collection Stores, 172 Showground Road, Castle Hill. Cost is $30 per person ($26 for concessions). Book online.